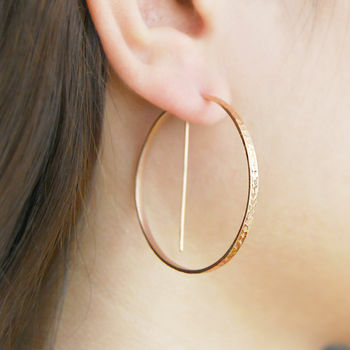 Make a statement with these super-cool 18k rose gold plated textured geometric hoop earrings! With their standout design and luscious precious metal finishes, these stunning earrings have an uncomplicated look with serious wow-factor! 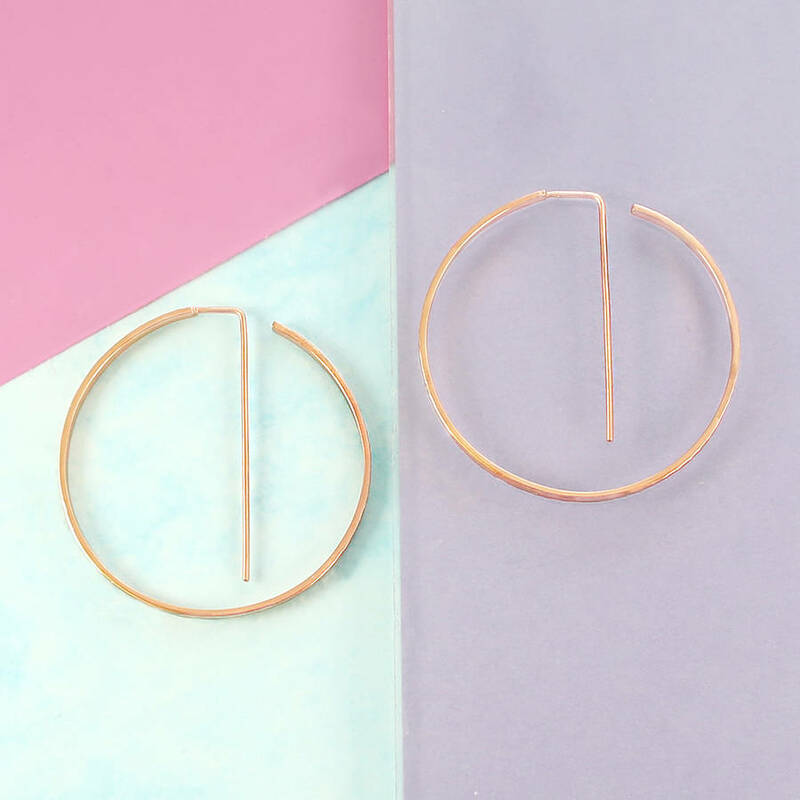 Jasper & Opal is a London based jewellery design duo who have a passion for bold, fearless and on-trend design, vivid colours and sumptuous precious metal finishes. Our pieces are designed and assembled in the UK, and feature 18 carat gold plating and acrylic detailing to bring you wonderfully unique, out of the ordinary fashion jewellery. 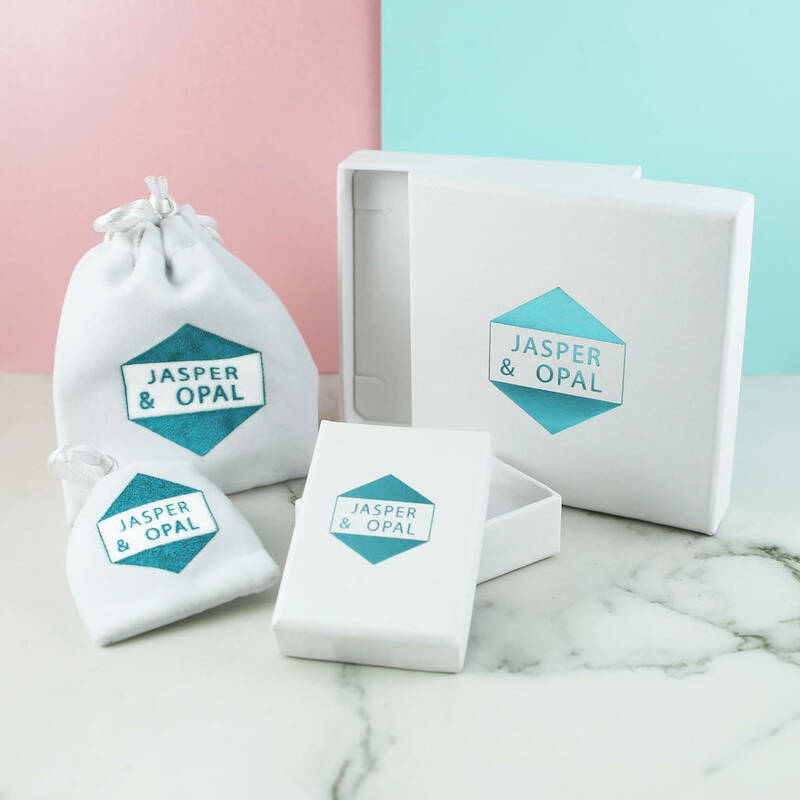 All of our pieces will be presented in our signature branded Jasper and Opal packaging. 18K Rose Gold Plating and Brass. Take care of your Jasper & Opal jewellery by keeping it away from any liquids or corrosive materials, and storing in an airtight container away from other jewellery when not being worn. Do not wear whilst swimming or bathing. This product is dispatched to you by Jasper & Opal.